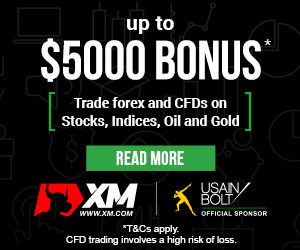 Home - Trade Insider - Currency - AUDUSD Analysis – what does the gap mean for the currency pair? AUDUSD Analysis – what does the gap mean for the currency pair? AUDUSD is one of the currency pairs that had the most interesting movements recently. We touched upon the instrument over two weeks ago when the price was breaking the horizontal neckline and concluded that if the price closed at those levels, it would trigger a strong buy signal. Naturally, in such conditions, we took a positive stance on the currency pair and expected it to go up in the nearest future. What followed didn’t exactly confirm or negate our predictions. Immediately after, the price started to decline but then reversed and gained at the end of November. During the first days of October, there was a gap in the price movements that pushed the currency pair to the highest levels since August. Unfortunately, it is a common practice in technical analysis to assume that a gap will be closed. In this case, it already did so today and triggered a bearish sentiment that doesn’t seem likely to go away anytime soon. The price has breached the support line which is shown on the graph above in orange color. This might be a sign that the gap is, in fact, a false breakout and that the trend could reverse itself shortly. We refrain from taking a negative stance on the currency pair, but if the price drops below the right shoulder of the formation, it will definitely trigger a strong sell signal.